Gino Sorbillo is a Napolitan Pizzaiolo appreciated in the world for his verve and eclecticism. His father is the nineteenth of 21 children, all pizzaioli. The original Sorbillo in Napoli via del Tribunali since 1935 still stands today and nearby, in the original house of his aunt, Gino opened “The House of Pizza,” a meeting place for the soul and cult of the city, devoted to his family, pizza and Naples. DOP Parma ham and Buffalo mozzarella. Toasted bread with cherry tomatoes. 2 pieces. Fried meatballs with garlic and parsley. Paccheri pasta with onions and meat ragu. Potato gnocchi, fresh mozzarella and tomatoes. Organic flour, San Marzano tomatoes, Terre Francescane organic extra virgin olive oil, fresh mozzarella and basil. Buffalo mozzarella cheese, San Marzano tomatoes, Terre Francescane organic extra virgin olive oil and basil. Escarole sauteed with olives and capers. Yellow peppers sauteed with garlic, black olives and extra virgin olive oil. Everything was perfect: the ambiance (tables not too close to each other), decor, pizza was amazing and service kind and attentive. Thank you! All right, too noisy place. I can help you solve the problem. Best pizza by far in NYC. 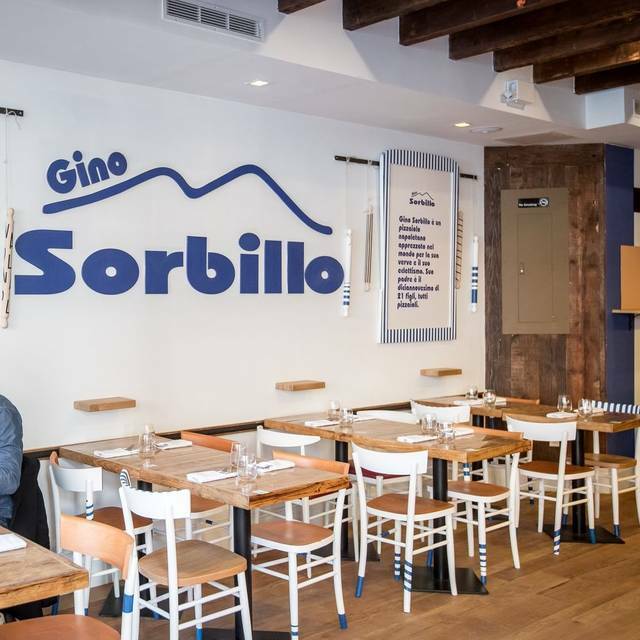 The first time I went to Sorbillo Pizzeria it was amazing great food and service! This last time the service was horrific, the appetizers came out before the drinks and the waiter never came to check on us. In addition, I ordered scarola and was not informed they ran out of it until everyone else's food arrived and mine did not and I inquired. The communication by the waiter was horrible the entire night and he could not understand our order. Food good, but the service and communication is terrible. Had to wait nearly 1/2 hour despite having a reservation. Some of the worst pizza I've eve had. Flavorless and floppy. Never again. Huge pizzas with delicate, tasty crusts. The calzone--superb. Nino and the rest of the staff are very friendly and accommodating to your every need. The chicken wrapped with procciutto had a smokey, delicious sauce. Sorbillo's pizza is the BEST in town. I highly recommend it!!! It was excellent! Even prefer it to Ribalta - which was always our favorite but hard to get reservation. Delicious pizza and a great staff!! Great spot for dinner with friends, good prices as well. It was delicious! My boyfriend and I dined in the Sorbillo in Napoli and loved it. We wanted to check if the flavors were the same in the NYC location and we were not disappointed. Everything was delicious! I’ve been here a couple of times and the food was fantastic, service great and finally a place where you can actually hear your friends talking without them having to shout. Definitely my go to pizza place. The Best Pizzeria in NYC!! 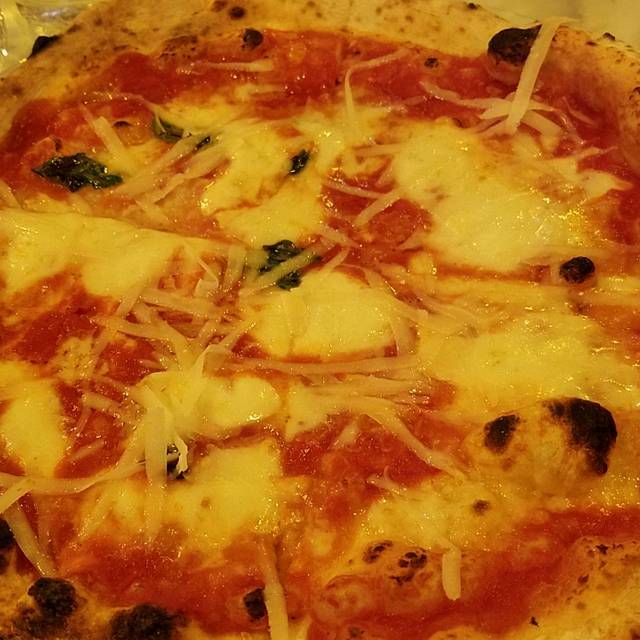 If you love Neapolitan pizza, this is the place! You won’t regret! Had a great dinner here. Service was good and the food was great (although would love for the bread basket to have been warmed). This is my second time visiting Sorbillo and I absolutely love the experience. It’s like you have taken a flight to Italy for the night and you are no in NYC. The only reason why I didn’t give them a 5-star rating is because the waitress got my sister-in-law’s order wrong however they were accommodating and changed it quickly. 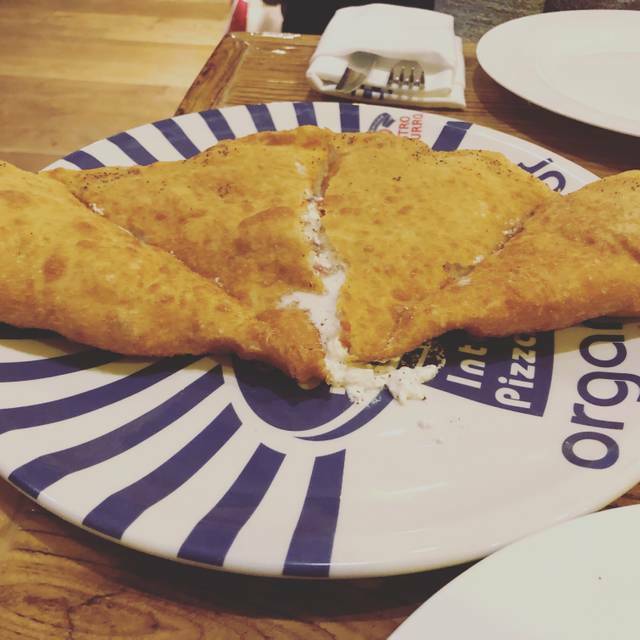 Overall, a great place to hang out with friends and explore pizza a different way! This is one of the best pizzas I've ever had in NYC...the crust is so light and pillowy with the perfect bit of chardness. The tomato sauce is just want it needs to be, simple and the mozzarella is high quality. 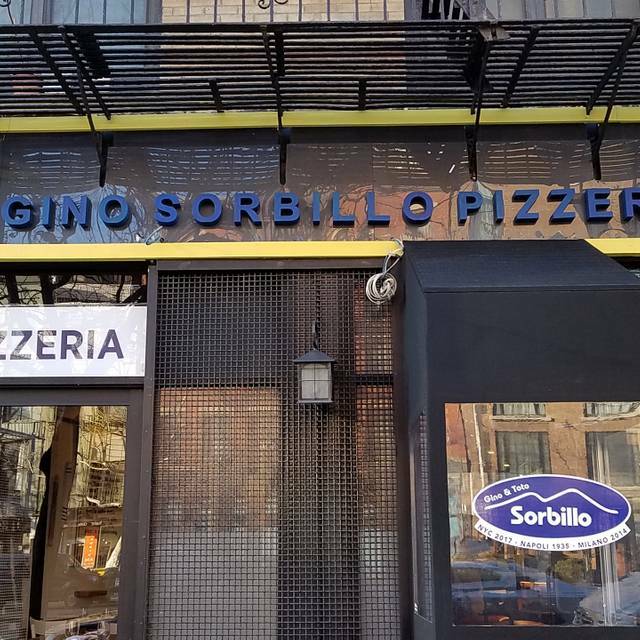 Sorbillo pizzeria is my favorite place in NYC! We had a great time and the pizza was so good we had to order more. We got wine and dessert as well, such an amazing dinner. The staff is really friendly and the service was great. Overall, an awesome experience, I would definitely go back! Friendly staff. Amazing food. Great wine selection. Great pizzas, super nice looking place, decent prices...I will be back! I'm really sorry to say that last Saturday ( January the 3rd) experience was really bad! 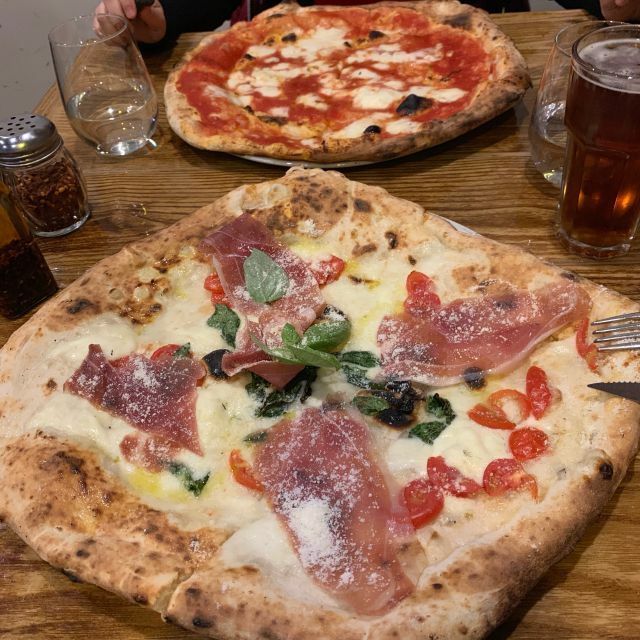 I tried Sorbillo's pizza before ( I'm italian and it was recommended to me by a couple of people from Naples) and it was good, so I was really excited to take my husband to try it ! First of all the service was very slow ( there was only one waitress) but more importantly the food was bad! We had 2 appetizers ,fiori ripieni fritti ( which were hot outside and cold inside!!!) , and crocchette di patate. The bier that my husband ordered arrived after the appetizers. Both Pizza were drowning in tomato sauce, so much that we had to move some out to be able to eat the pizza. I know italian pizza and I also know their pizza but this was like I never had experienced before. We both left half of it . So sorry about the review, but it kind of ruined the date. I had a wonderful experience and I felt welcomed. The atmosphere was nice and calm. One of the few places in NY where you know you can’t go wrong, no matter what you pick in the menu. Amazing food and reasonable prices. Strongly recommended! 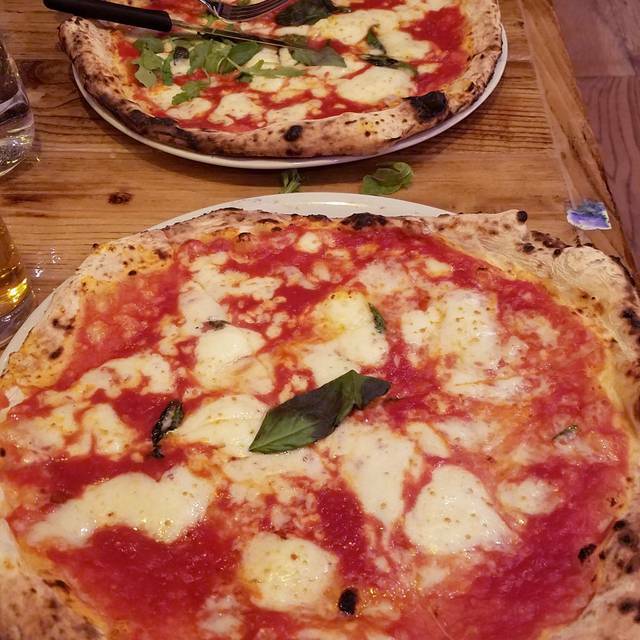 Delicious authentic Neapolitan pizza! As simple as that. Love this restaurant. Great food and service. Been there a few times and I M never disappointed. We will keep coming back again and again. If you get a chance to try this restaurant, you won’t be sorry. 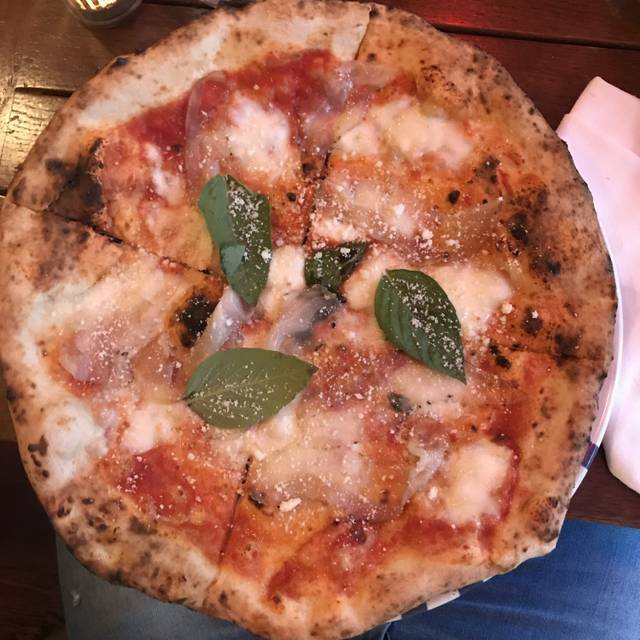 Great authentic Neapolitan style pizza. Just like they make em in Naples, Italy. The food was absolutely amazing. The crust on the pizza was easily the best I have ever had. 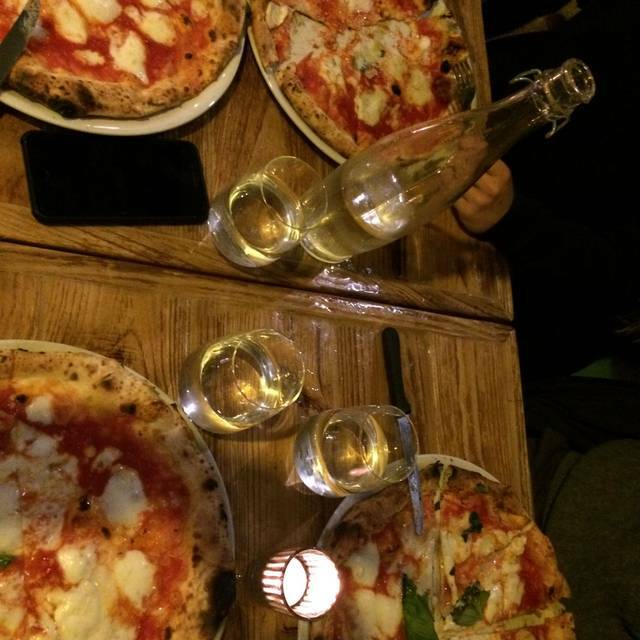 My boyfriend and his parents are from Italy and they too agree it was one of the best pizzas they have ever had! I definitely recommend this place and cannot wait to go back again. 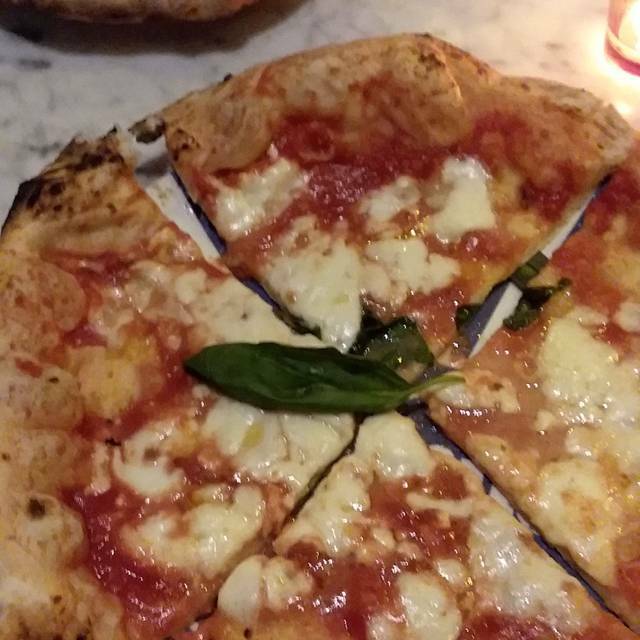 Really good neapolitan pizza. The dough was amazing and a great variety of pizzas. If I had to critique something I would say that the wines were not great and it's beer and wine only so it's not like you can revert to a go to mixed drink if wine isn't doing it for you. Definitely hits the mark on food but could up their game on the drinks side. Overall, I was very happy with Sorbillo. Very good quality pizza. Ingredients shine. Great pizza & eggplant parmigiana in a quiet setting. Coming to a reasturant that charges more than $20 for a personal pizza we had high expectations. When we were first seated our table was very small and wobbly. We asked to switch to the table next to us that was not wobbly , immediately staff seemed to be annoyed and a bit rude. We got zucchini flowers as an app, they were awful. Service was poor, staff was not very friendly. Quite honestly we will not being going back again, not worth the money. I have been to Sorbillo’s in Naples, Italy and is not the same. Too expensive for location. The pizza at this place is AMAZING. Hands down the best pizza I've ever had. It's Nepolitano certified and the cooks/waiters etc. are straight from Italy. It doesn't get more authentic than that. Also, the pizzas are not overly expensive. Delicious real Neapolitan pizza and Peroni on draft! This pizza is like a trip directly to Naples. The food is great, the staff very friendly. Can't wait to come back!